It’s true, the best dog training treats don’t have to come in the form of food to be effective. But it’s equally true that food is a great motivator during training sessions! However, choosing good training treats for dogs isn’t quite so simple as it may appear. The calories in even the healthiest of dog training treats can add up quickly. In this article, we take a closer look at the best training treats for both puppies and adults, and even senior dogs. These are some of the best dog training treats to keep your dog highly motivated to learn yet still slim, trim, and healthy! Why Use Dog Training Treats? What a great question! Dogs are supposed to be our best friends, so they should already be eager to do whatever we want them to do, right? As so many dog owners can attest to, it usually doesn’t quite work that way. If you’re embarking on your first puppy or dog training experience, you’ll quickly learn that dog training treats can be your real best friend during the training process. That’s why choosing the best dog training treats is so important. Interestingly, as we learn more about canine psychology and what truly works best long-term for successful dog training, dog training treats have become more important. For example, we now know that old school punishment-based or negative reinforcement training may deliver immediate results. But these types of methods can also often leave behind both emotional and physical scars on both your pup and you. Thankfully, today we know there are better ways that can achieve even better results with zero scars! 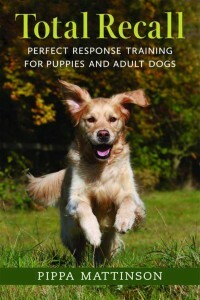 Current canine science tells us that in fact, the lasting results come from positive reinforcement training. Positive dog training methods, as the name implies, use praise, play time, edible treats, and other affirming rewards to reinforce desired behaviors. So you attract a more eager, trainable dog when you offer plenty of love, pats, frisbee sessions, and tasty dog training treats in exchange for lessons well learned! How Many Treats are Too Many? There’s actually a pretty simple formula that can help you ration out the best dog training treats in a healthy way. In general, you’ll want to make sure that the daily total calories coming from dog training treats are no more than 10 percent of your dog’s total daily calorie intake. For instance, if your dog needs 300 calories per day to stay healthy, you can break this up into 270 calories of meal food and 30 calories of treats. Be sure to ask your dog’s veterinarian about both how many daily calories will keep your pup in top condition health-wise. And which are the best dog training treats to provide optimal nutrition for your pup. Fairly non-perishable so they won’t spoil too easily or too quickly. 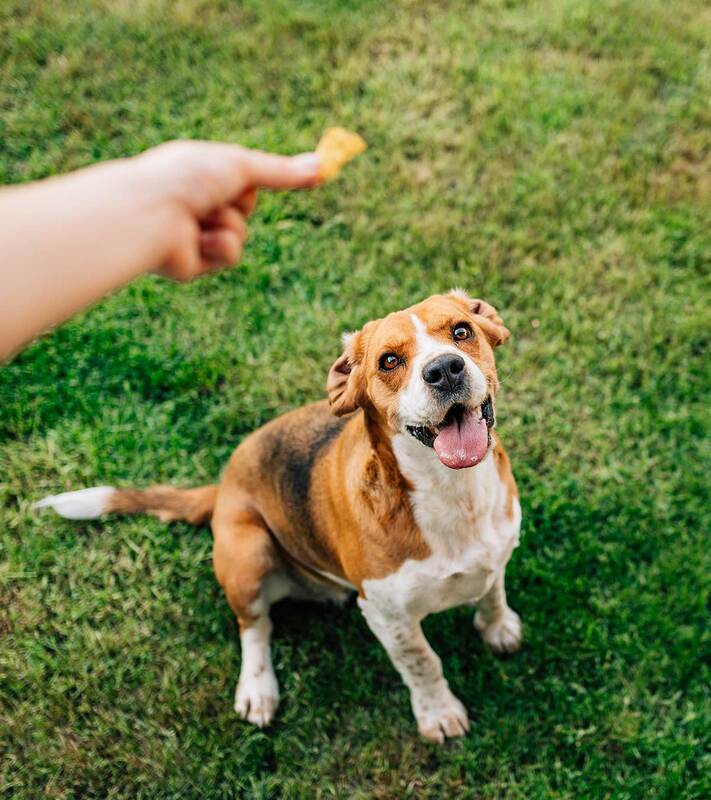 It’s also helpful to keep in mind that the more quickly you can offer your dog a treat after they have performed the desired action, the more effective it will be. 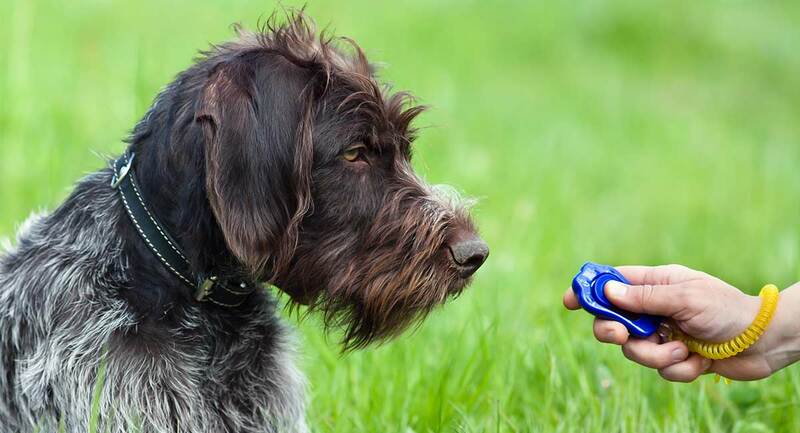 For example, if you are using clicker training to train your pup, you’ll want to give them a treat immediately after you hit the clicker. So the treat must be accessible and ready to deploy! 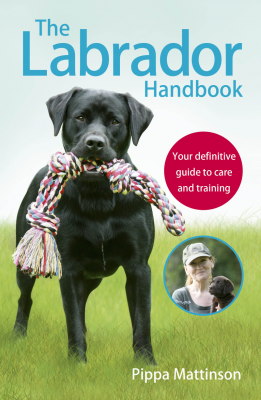 Now, let’s take a look at some of the best dog training treats. These are most popular and highly rated for every situation and canine stage of life! 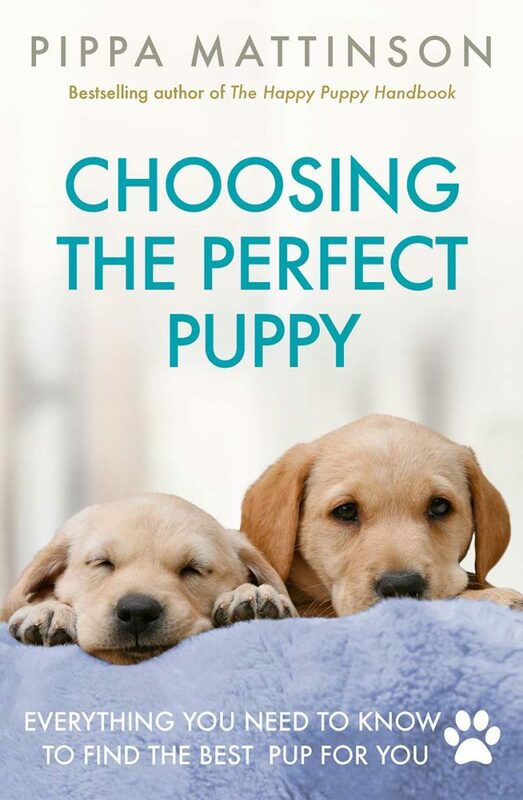 If you’ve ever trained a new puppy from scratch, you likely already know how training a new puppy can completely take over your life! Experts say that all major problem behaviors begin before a puppy turns six months old. 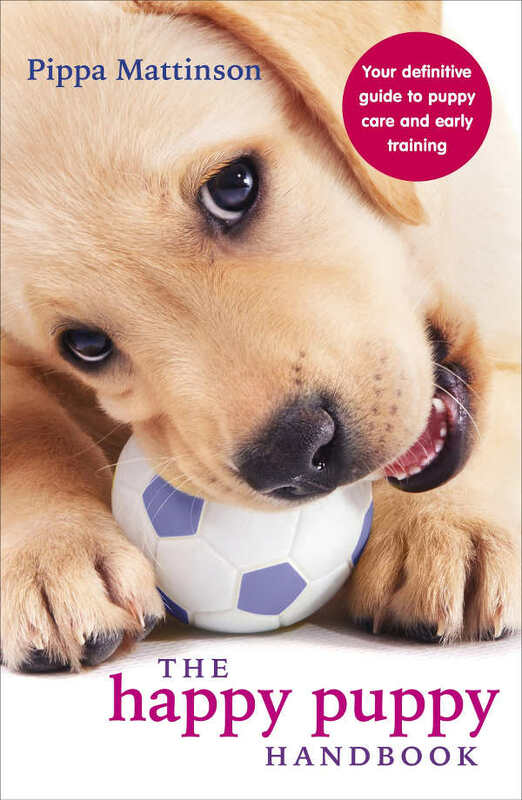 These healthy puppy training treats will ensure your puppy is highly motivated to learn good habits! The Wellness Natural Grain Free Puppy Training Treats are tasty, healthy, soft puppy training treats made in the US. They come in four different flavors to keep training interesting and enjoyable. BLUE Mini Bars Puppy Banana & Yogurt Biscuits are small biscuits that are easily broken into smaller pieces for training. The reviews are great for these ones! These perfectly sized treats feature tasty, healthy ingredients plus added DHA, vitamins, and nutrients for your puppy’s still-developing digestive system. The limited ingredient Natural Balance Limited Ingredient Dog Treats can also be broken into smaller bits for training. They’re easy-to-digest with super tasty ingredients your puppy will enjoy. In the world of dog training, “ high-value dog treats” are defined as anything your pup really loves to eat—your dog’s favorite food. For example, many dogs adore peanut butter, cheese, cooked chicken, pumpkin, and eggs (plus pretty much anything else you probably don’t want them to eat). So these could definitely be some of the best dog training treats for your pup. Bandit’s Biscuits Natural Healthy Grain-Free Peanut Butter Dog Treats are popular and highly rated dog biscuits featuring peanut butter, cheese-bacon, and blueberry flavors. The biscuits are grain/gluten-free and these soft dog treats for training are also easy to break into smaller bits as needed. The UDSA-sourced PureBites Chicken Breast Freeze-Dried Treats for Dogs a are favorite with pups and their owners. The treats are just 3 calories each—perfect for training sessions! The 3.3-calorie tiny and tasty Buckley RuffPuffs Dog Training Treats are light and airy puffs that are easy to throw and retrieve. They come in cheese, rotisserie chicken, smoked sausage, and sweet potato/apple flavors. Even if you don’t feed your dog a raw diet, there is no doubt that pure freeze-dried raw meaty treats like these will be enthusiastically received. Natural Rapport Beef Bites Dog Training Treats are USDA-inspected, beefy, meaty freeze-dried raw dog training. The treats are grain-free and free from hormones or fillers. Five different types of Natural Rapport treats are sure to keep the training interesting. Try IMK9 Freeze Dried Salmon Dog Training Treats which are packed with vitamins and minerals and best of all,human-grade salmon. Salmon can make for a great training treat because it is tasty and loaded with essential fatty acids to keep your dog’s skin and coat healthy. The popular USDA-made Stella & Chewy’s Carnivore Crunch Freeze-Dried Raw Training Treats come in chicken, duck, beef, and turkey and are naturally grain-free. Unless your dog loves ice cubes (and some dogs do! ), you’re probably going to need to find at least one type of dog training treat that is low calorie. These are some of the best dog training treats that will come in handy for more challenging training days when some extra encouragement is needed! The 1.5-calorie Pet Botanics Dog Training Rewards are small and compact and great for packing into a treat pouch or even just your pocket. Choose from five flavors and three bag sizes–the 10-ounce bag is perfect if you are looking for dog training treats bulk, since there are 500 treats in the bag! The Fruitables Skinny Minis Dog Treats are just 2 calories each. They are chewy gluten/grain-free and come in six yummy flavors. The teeny-weeny Zuke’s Tiny Naturals Dog Treats are grain-free and gluten-free. They contain 1.5 calories each, which makes them an excellent choice for small dogs. Here are some of the best dog training treats for training senior dogs. These treats are healthy, easy to chew, highly palatable, and sure to be a hit as you teach your older dog some new tricks! Wellness Core® Marrow Roasts Natural Grain Free Dog Treats are savory, soft and healthy grain-free training treats. They are perfect as an additional source of nutrition during training sessions with your senior dog. The soft and savory Hill’s Science Diet Dog Treats from veterinarian-trusted Hill’s Science Diet. They are offered in nine flavors and several different shapes and sizes. Finally, the popular Milo’s Kitchen Beef Sausage Slices with Rice Dog Treats are highly rated and USDA-approved. These dog training treats that come in eight tasty flavors. We hope you’ve enjoyed learning about some of the healthiest and best dog training treats for puppies, adult dogs, and senior dogs! Does your pup have a favorite that we didn’t mention here? Please drop us a comment so we can add your dog’s preferred treats to our list of the best dog training treats!